Stack Test is a spatial reasoning test. A reference 3D stack of blocks is shown. An arrow indicates a second point of view you have to picture to yourself as a front perspective. 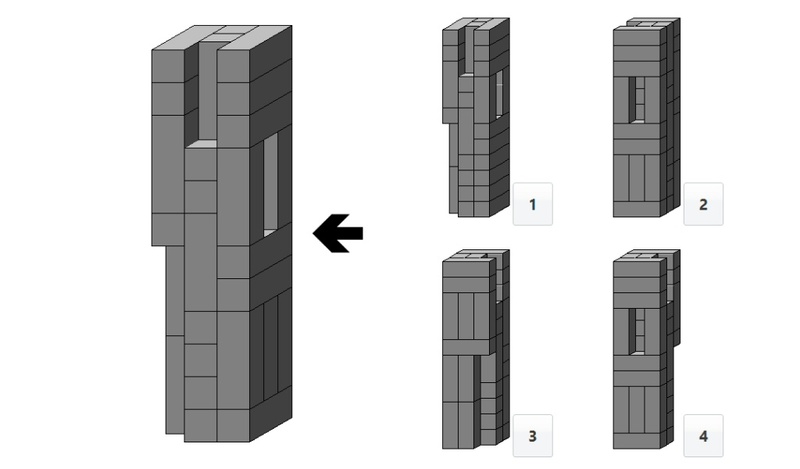 Four answer stacks show either a 2D or a 3D front perspective. Decide which answer perspective matches the indicated point of view.